Once again, I found myself housesitting a couple months back now. A friend came over to keep me company and we both got talking about food (a common conversation topic for us). Which led to a severe urge to make something. Thing was though, I only had a couple of odds and ends with me. So, we had to be a little flexible. 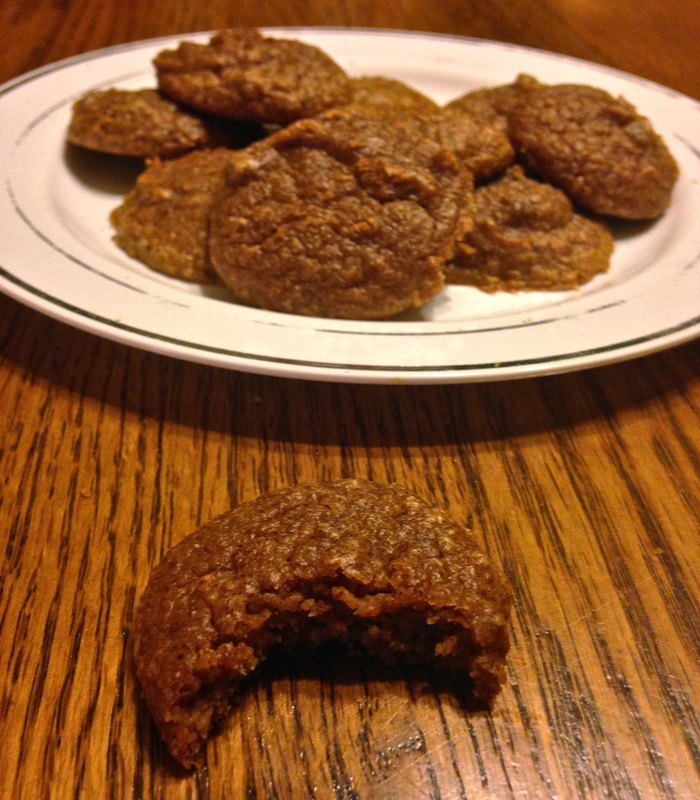 Of course I’ve spruced up the recipe since that night, but this nut butter cookie is essentially what we got! And no, I did not forget to add in a sweetener to this list of ingredients. You just don’t need any! (Plus, we had no sweeteners on us when we made this originally). 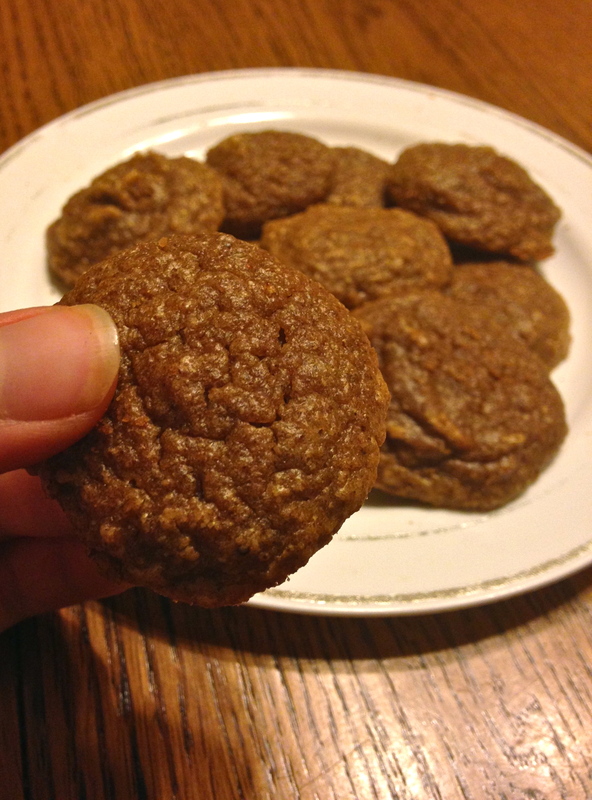 Therefore, these cookies are healthy enough to eat for breakfast! Preheat the oven to 350 degrees and grease a cookie sheet. Combine and stir all ingredients in a bowl until everything is mixed in evenly. Drop about 1 tbsp of batter onto the cookie sheet for each cookie. Bake at 350 for 8-10 minutes.